The client's home had suffered water damage. 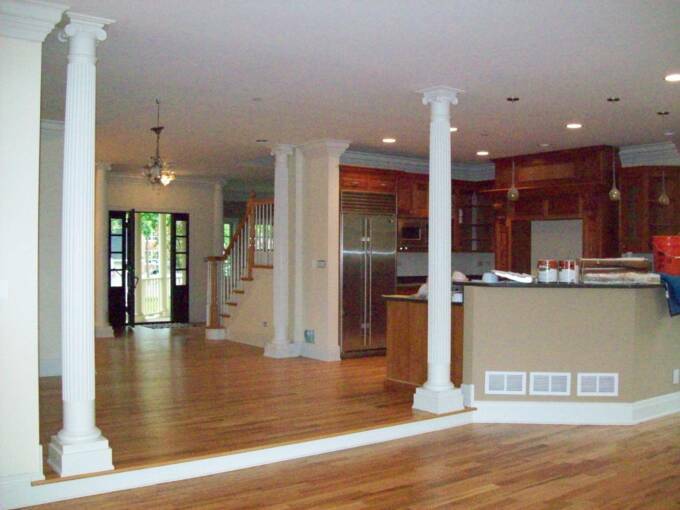 We coordinated our work with other tradespeople, and replaced all of the wood trim, including these columns. 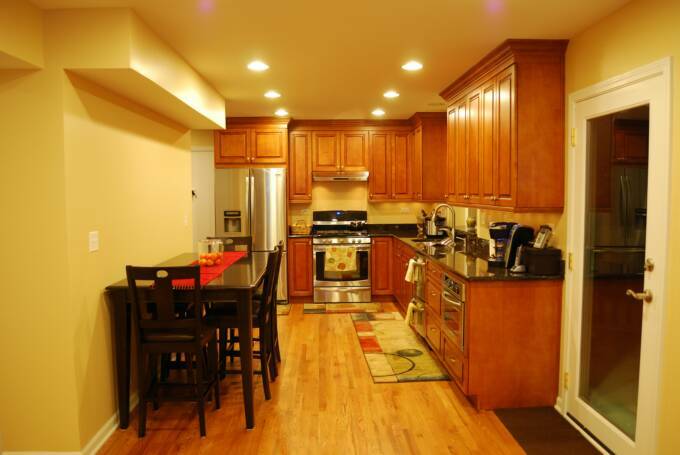 We provided a kitchen redesign, then gutted the kitchen, replacing electrical, plumbing, walls, flooring, cabinets, counter tops and lighting. 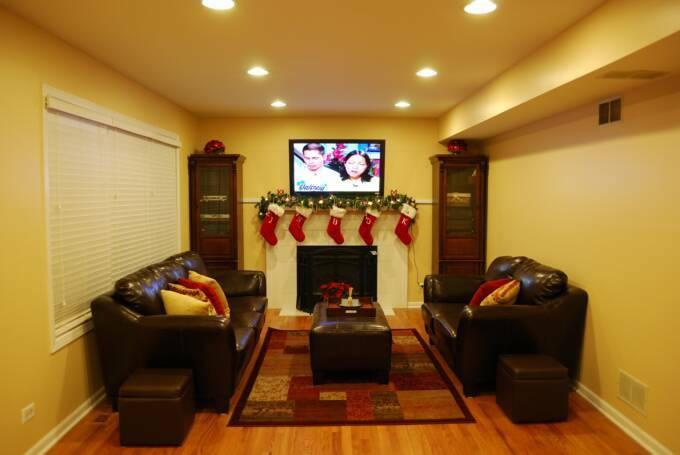 This homeowner wanted a nearly 2,000 square foot basement finished. 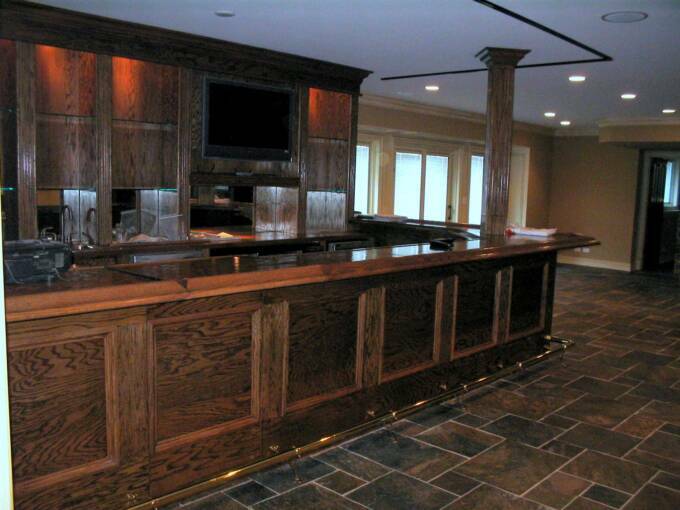 We designed and built this custom bar, built interior walls to provide an entertainment room, exercise room, utility room and full bath with steam shower. The floor is slate and the trim is custom. We replaced existing floors and windows, and assisted the homeowner with a redesign of the floorplan, kitchen, and lighting. The customer needed two 25-year-old bathrooms brought up to date. 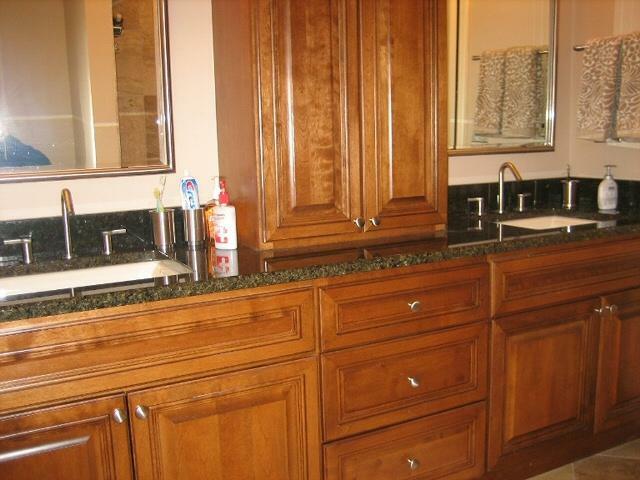 We gutted each bathroom and installed new travertine flooring and wall tile. Designed semi-custom cabinetry, and new lighting. © 2010-14 Mattony Construction, Inc. All rights reserved. 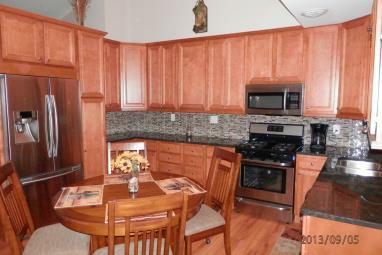 We redesigned the layout, replaced cabinets, added new backsplash, granite countertops, appliances, and lighting.